walking forwards backwards explores the practice and traditions of weaving within contemporary social and economic systems. For her first solo exhibition Annie Mackenzie has produced textiles woven on a loom, which are presented alongside transcripts of conversations undertaken with a small group of weavers living in Aotearoa. This body of work explores the artist’s own position in an expansive field, and the specific kind of learning that takes place through handworked labour. 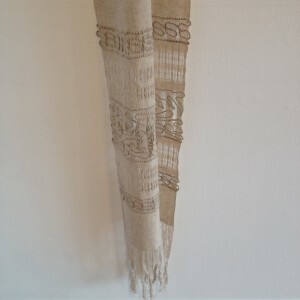 Taking their cues from everyday homewares such as tea-towels, Mackenzie’s textiles often mimic traditional designs that have been appropriated in the production of mass consumables. Returning to handworked production methods, her work prompts further contemplation on the origins of these patterns and techniques. In doing so, walking forwards backwards speculates on the future possibilities of traditional knowledge and how it is disseminated. Annie Mackenzie is a Wellington-based artist who graduated with a Bachelor in Sculpture from Ilam School of Fine Arts in 2009. Recent exhibitions include Beauty is in the Street (2016), Objectspace, Auckland;International Foodcourt/Global Classic (2016), The Physics Room, Christchurch; Who Opens The Door(2014), Blue Oyster Art Project Space, Dunedin and Pay for the Printer (2014), Triple Major, Shanghai. Annie Mackenzie was the 2016 recipient of the Creative Fibre New Weavers Award. 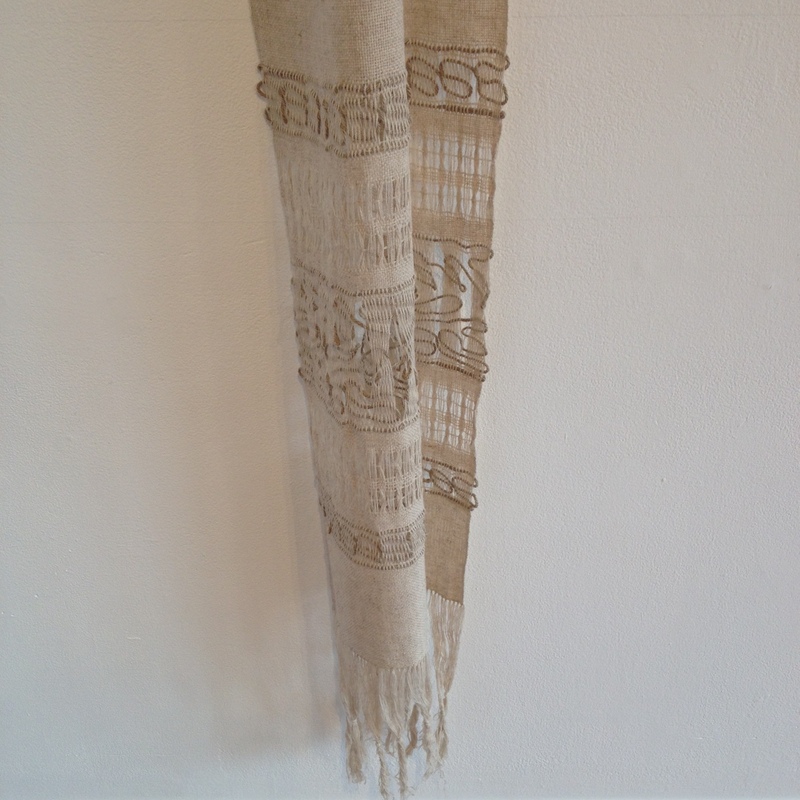 This entry was posted in Artists, Craft, Exhibitions, Textiles, Wellington and tagged Annie Mackenzie, contemporary weaving, Enjoy Gallery, Weaving. Bookmark the permalink.